International Polka Music Hall of Fame® Marisha Data! International Polka Music Hall of Fame® Marisha Data. 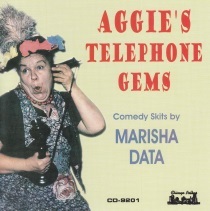 "Aggie's Telephone Gems" is a CD of Comedy Skits by Marisha Data. Check out this CD with Marisha Data.